"I'm very optimistic, very excited about the direction we're going. I think we're still just at the tip of the iceberg with what we're going to be able to do now that we have Convergence." 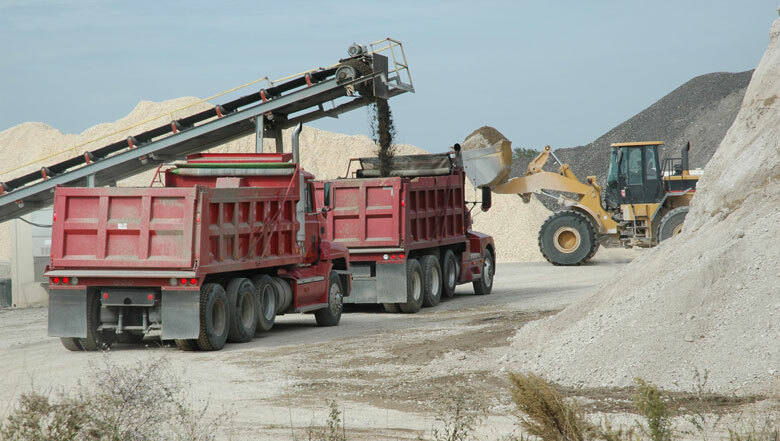 Vulcan Materials is the largest aggregate producer in the United States. With operations spanning from coast to coast, Vulcan produces the construction materials needed to build and repair roads, bridges, buildings and other important infrastructure. With more than 8,100 employees at seven divisions and over 220 sites, Vulcan faced the constant challenge of keeping everyone up-to-date on their compliance, safety, and job skills training. David Berdeaux, Instructional Designer & Training Facilitator, says that they were unable to do all the training they wanted with the resources available to them. "I think one of the biggest challenges we have as an organization with training is being able to get training out," says Berdeaux. "Because we're so limited in our manpower that it's hard for us to get as much training out as we'd like." At Vulcan, instructor time was often booked a full year in advance, limiting the amount of training employees could be exposed to. "We always had a list of five or six topics that we wanted to train on but couldn't get to," says Berdeaux. "Now that we have Convergence, we have a lot of opportunities ahead of us. We're going to be able to develop more self-paced training courses, and once those are developed that's going to free us up to be able to do more with our in-person training resources." In addition, Vulcan found they could reduce the overall cost of their training program by incorporating more self-paced eLearning courses into their curriculum. "For years we were having to pay someone production cost and travel cost to go to every division and conduct sexual harassment training which, now that we can set that up as self-paced training through the Convergence LMS, it's going to cut all that extra expense out. I have no doubt there will be cost savings." Maintaining accurate training records is crucial for companies like Vulcan, who are subject to specific federal safety regulations. Vulcan trained their employees frequently, but without a dedicated training management solution they struggled to keep track of the training records. This was especially challenging since much of their training was classroom-based for large groups. "Basically, before whenever there was a training class that took place, I would hope and pray that a signup sheet was signed. And if the signup sheet was signed, then at the end of the training class it would be sent over to our department for record-keeping," says LaTasha Gaines, Training & Development Coordinator. "However, over the years, you've had staff changes and things and all those records were not kept in one central location. Not only that, you have some classes where signup sheets were never signed so then you just don't know whether or not people are attending training classes." Vulcan was able to take advantage of field, or classroom-based training features of the Convergence LMS, such as the Bulk Credit Wizard, to train a group of people in a classroom setting and then go back and give them all credit for the training. Vulcan uses the Bulk Credit feature to give large groups credit for attending classroom training sessions. "Going forward we're going to be able to have those resources to see what and where and who we've trained, and to pull reports to see who hasn't completed their training and say, 'Hey, this is coming up and it's almost due and you need to get it done.' And that's been huge. In the past we didn't have a way to do that." So far the reception from both employees and training administrators has been good, says Berdeaux. "I think one of the best and most exciting things that an administrator said during training, we were in the southwest division out in Texas, in San Antonio, and we were closing up day one training. And the safety manager had been there throughout the class and was just very excited about what they were going to be able to do with the system. She said, 'This is just like Christmas...' She was just that excited about the system." "I'm very optimistic, very excited about the direction we're going," Says Berdeaux. "I think we're still just at the tip of the iceberg with what we're going to be able to do now that we have Convergence. But I'm just really looking forward to the different things that we're gonna be able to do." Contact us to see if we have the solution for you.